TOKYO (Reuters) – Nintendo Co Ltd’s <7974.T> first Mario smartphone title has set a download record but gamers baulked at the one-time cost of unlocking content, prompting investors to push the Japanese game makers’ stock to a one-month low. 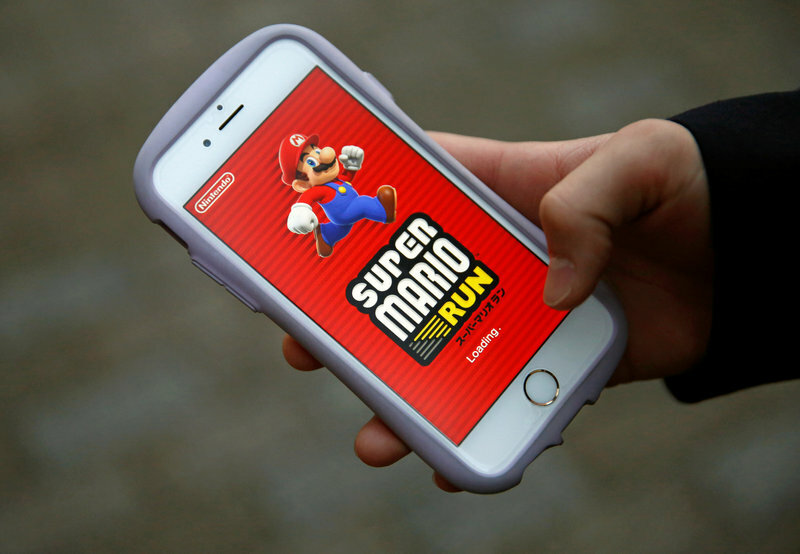 Super Mario Run hit 25 million downloads just four days after its Dec. 15 release in 151 countries on Apple Inc’s <AAPL.> App Store, earning gross sales of about $21 million, showed data from app analyst Sensor Tower. But Nintendo shares have lost 11 percent since the launch as the latest game to feature Nintendo’s princess-rescuing Italian plumber received negative reviews from users mainly complaining about its $9.99 one-time cost, rather than the usual model of paying small amounts for special features. Nintendo belatedly decided to enter smartphone gaming after resisting initial pressure from shareholders concerned about that segment’s threat to its core console gaming business. Soon after, Pokemon GO – based on Nintendo characters – reached 25 million downloads in a then-record 11 days from about 35 countries via the app stores of Apple and Alphabet Inc’s <GOOGL.O> Google. Nintendo shares more than doubled in price, reaching a six-year high, but plunged soon after the firm said Pokemon GO would have little impact on profit. “The stock market had factored in initial disappointment so we now need to see what impact Super Mario Run has on sales of console games,” said Chief Market Analyst Masayuki Otani at Japan Securities.